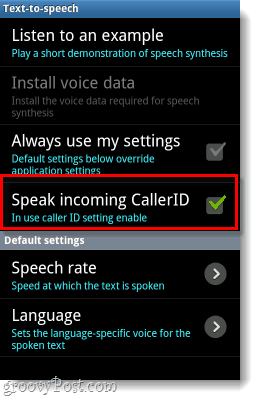 Android has a feature that will read the ID of your incoming calls to you out loud. Let’s enable it. Some people set up custom ringtones for contacts they frequently talk to. But, that takes valuable time and what if you receive too many calls from too many numbers to worry about that? Android has a groovy feature that will read the ID of your incoming calls to you out loud. Let’s enable it. Open your phone Settings. 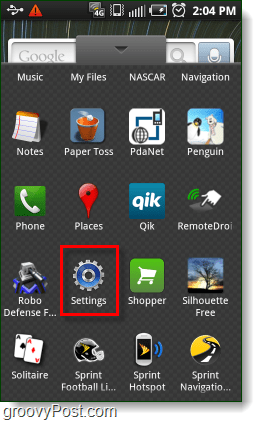 This can be done from the menu button on the outside of your phone*, or by launching the app from the App Drawer. *Must be on your Home Screen in order to access settings this way. 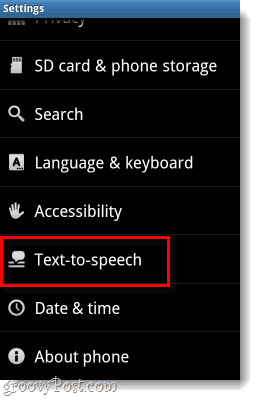 On the settings menu, Tap Text-to-speech. On the next screen, Tap to Check the box next to Speak incoming CallerID. Now when someone calls you your phone will read their name or number to you out loud. This comes in real handy if you don’t have time to look at the front of the phone before deciding to answer it. For me, I find it most useful when I’m riding a bike or driving down a busy road. Do you find the text-to-speech hard to understand? You can also adjust the speed (rate) at which the text is read, or even change the language to Spanish! I’ve got the Droid X from Motorola, and the Caller ID Talking Caller ID feature is in a completely different place. @EdwardA, Good point – Android phones seem to vary a bit due to manufacturer tweaks. i.e. a Motorola phone will have a different interface than a Samsung or HTC model, despite running the same operating system. It’s really annoying, and probably my biggest complaint about Android; the lack of consistency due to manufacturer’s messing with it. my phone Panasonic eluga A do not have this feature anywhere. My android phone doesn’t have the ” speak incoming caller id” option. What do I do? This does not work on a Galaxy S-5. I have Cyanogen cell. If callers are not on my list, Callers’ numbers will never display, so I cannot call back if I miss out calls. How to display callers’ numbers? 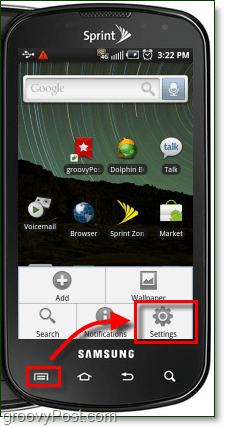 I have a Droid Maxx2 and none of the settings you mention in these posts are on my phone. What should i do? I have a LEeco LE 2. I can’t find any caller ID or Text speech Out option in my smartphone. so since this is not available on Galaxy 7, which app works the best? moto g6 does not have what you had; and i do not hear call from (name) on any headset. i have the motorola h730 and it says only (call on phone 1); the motorola boom 2 says (call from 1 + number) i need to hear: CALL FROM NAME (from my contacts) help me out i need to set this. motorola support could not help me because the phone needs to have A2DP on it. my motorola w755 phones does have voice caller id readout and i can get it on these headsets. i need to hear this on my headsets from this phone.